EVERYTHING TASTES HOMEMADE, BECAUSE IT IS. This little community bakery is the place where anyone is welcome, we're on a first name basis with most of our customers, and everything is made right here. In 2014 the torch was passed from original owners Hannah Withers + Ben Gitchel to employee Chloe Gallemore and former Nomad’s Natural Plate owner, Eric Gallemore. 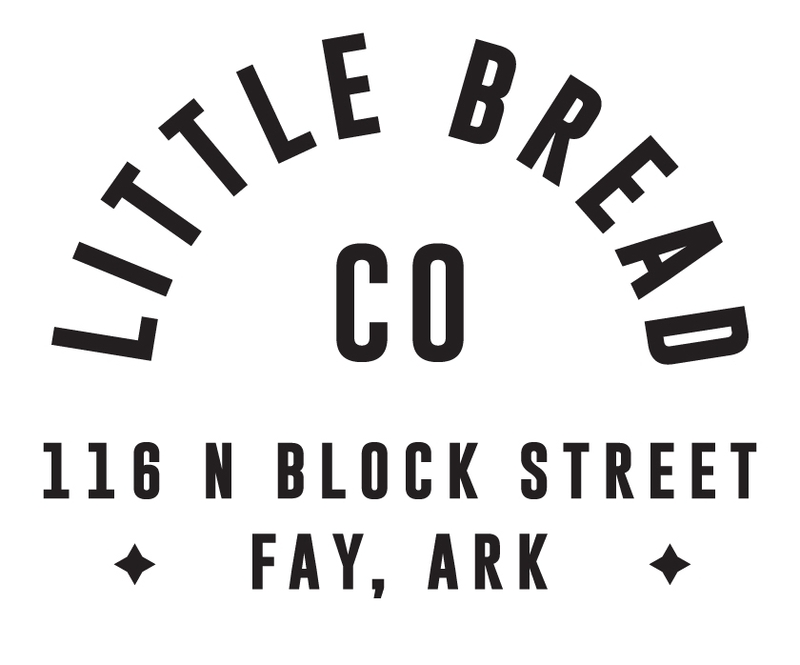 This little bread bakery is a fast paced, hopping little joint that makes a variety of dozens made-from-scratch items a day, employs a team of wonderful people, and serves the community as a hot spot of activity + love. We look forward to feeding you! MUST BE AVAILABLE WEEKENDS TO WORK AT LITTLE BREAD CO.